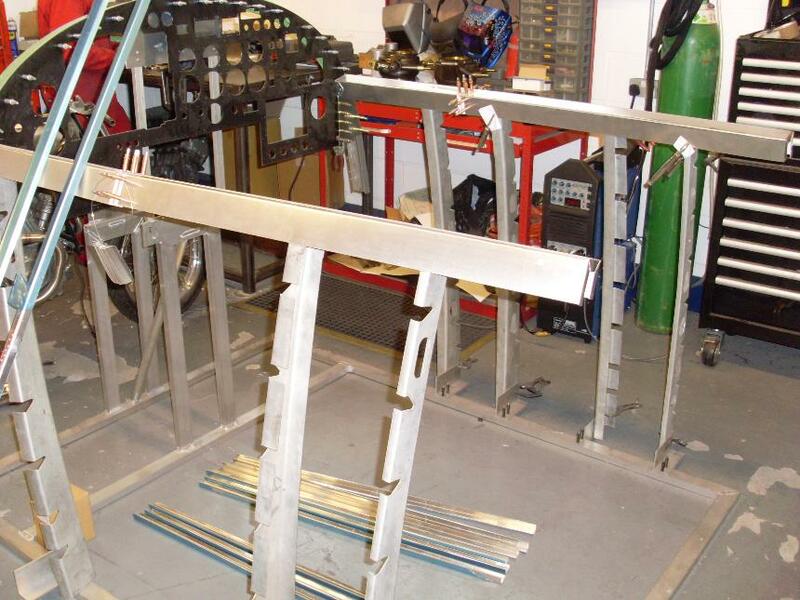 This page is not about a project that is for sale, rather it is intended as information about my own project to build a full size replica of the cockpit section of an AVRO Lancaster using as many original parts as possible. Progress is slow, but we will get there in the end! More pictures to follow as they become available. If you have any parts that will help, please contact me via raf-surplus@outlook.com. 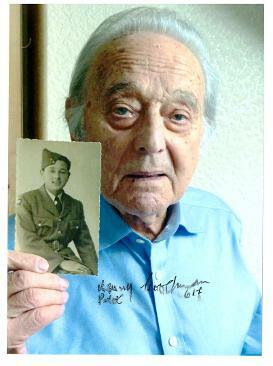 This is Laurence "Benny" Goodman who was the pilot of PD130, the Lancaster which I am building a replica of. 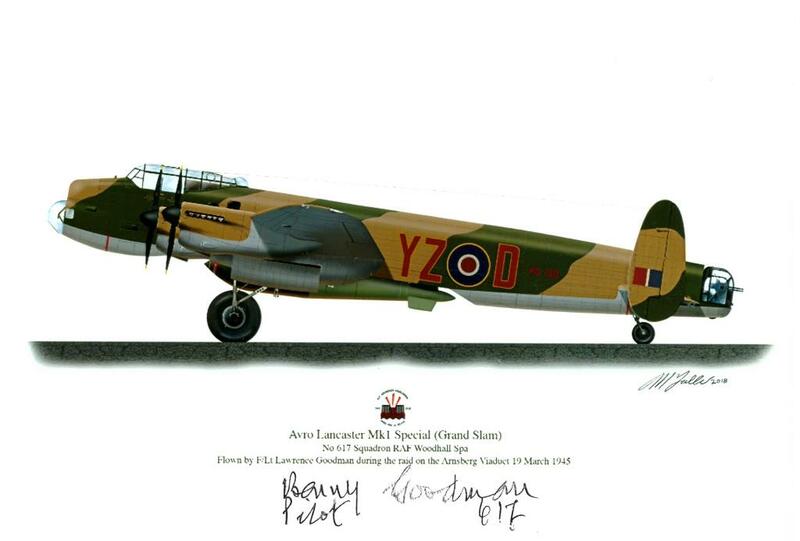 Benny has been kind enough to send me a signed photograph and also to sign my Lancaster control column. Thank you Benny. 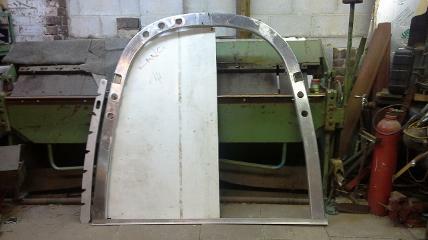 Frame 1 almost ready. Frames 2 to 6 to go! The Navigator's panel is a new acquisition by courtesy of Tim Taylor. 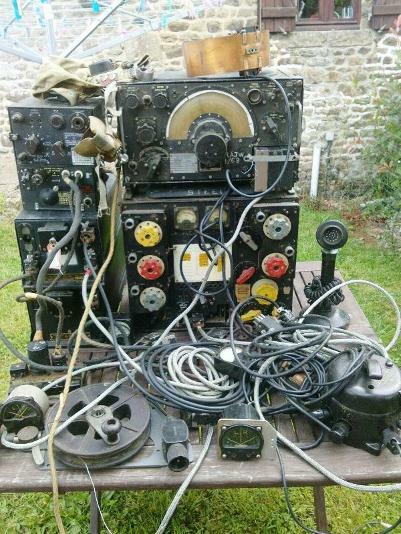 All the bits of the wireless operator's equipment ready to be fitted. Nearly there! Only the cap left to do now. New casting of Control Yoke. The finished version will be complete with center cover. The mounting hole in the center is splined as on the original. I expect to have a limited number available for sale in November 2015. 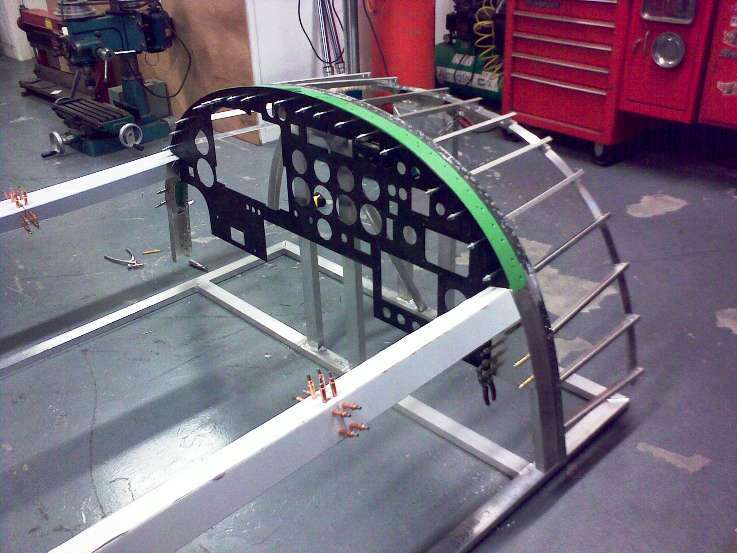 The windscreen and canopy. This is currently being restored but urgently requires an escape hatch. The Trim Tower. Recently obtained from Australia. Side Window. Obtained from Australia. Cockpit side assembly. Frames S to E.
Frame E and Instrument Panel. 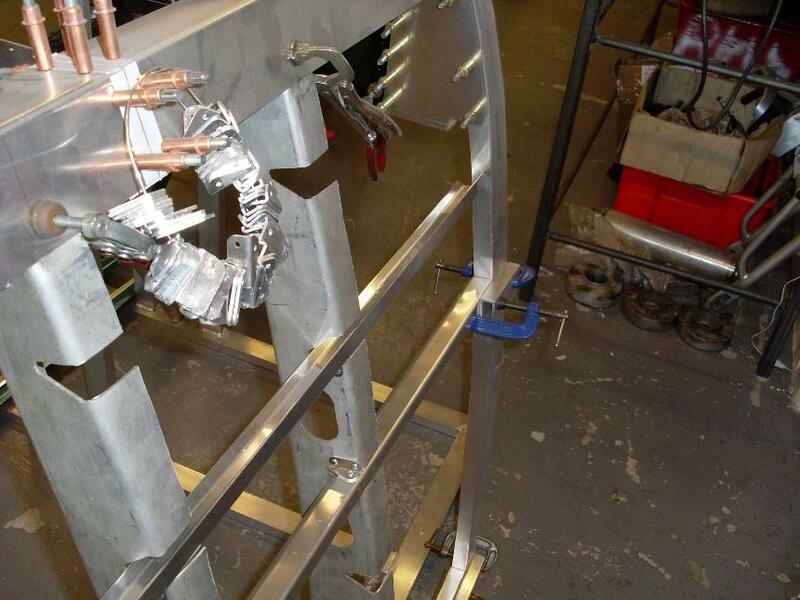 Mounted on jig with side rails in place.